opportunity to become an honorary pinner. just a few I selected to feature…. table made from an antique sewing machine base? to see the before pictures! 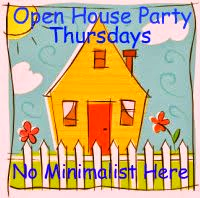 Thanks for joining the Open House party! Fabulous features, Sherry! Thanks so much for hosting! Thanks so much for hosting! The kitchen makeover and chocolate coconut bars are delightful! Sherry, I'm so glad to be here! It's been awhile since I've been able to take part in your party, and I'm glad to be back. Hope you're having a great week! Thanks so much for hosting! I want to thank you for having this party. I don't always participate, only when time allows. But it's nice to see other bloggers and what they do sometimes. Thanks for the feature Sherry! and for always hosting a terrific link party every week! Delightful eye candy tonight and something mouth-watering too! Thanks, always, for a lovely party and gathering of talent. hi Sherry, love those red wicker chairs with the inventive table! Thanks for the party, always so much to see! Look forward to the party. Thanks for putting the time into it for us! Thanks for the party, Sherry! Enjoy the rest if your week! Loved the features…thanks for hosting Sherry! Hope you are having a great week! Hi! Thanks for featuring my post about coconut goodies! It has gotten a great response! 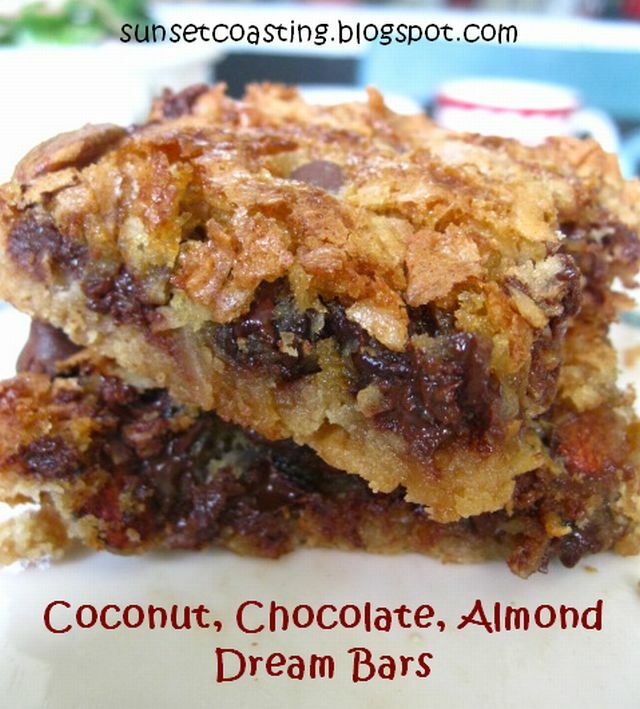 The Dream Bars are great when you don't want to use dairy, (no sweetened condensed milk). Thanks Again for another Party this week! Yay!!! 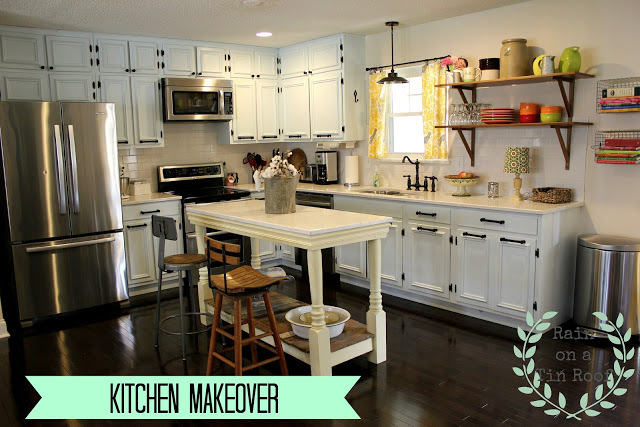 Thank you so much for featuring my kitchen makeover! As always, thanks for hosting! Hi, I am your newest follower, great blog. The party goers look inspiring can't wait to check some out. Thanks for hosting. Thanks so much for hosting and I loved the features you chose! Super features this week…love the red wicker with the sewing machine base of the table! Thank you so much for hosting. Hope you enjoyed a lovely holiday weekend and wishing you a great week! Hi Sherry! I love the features and thank you for always hosting. Hope you're doing well. THanks for hosting! We linked up, so many other fun links! We are also new followers! Have a wonderful day! I love the kitchen makeover, its fabulous. We are looking around for land to build a French style house and I plan to have a similar kitchen. I enjoy your link party each week very much! Awesome features this week, too. Thank you for hosting. Wow! 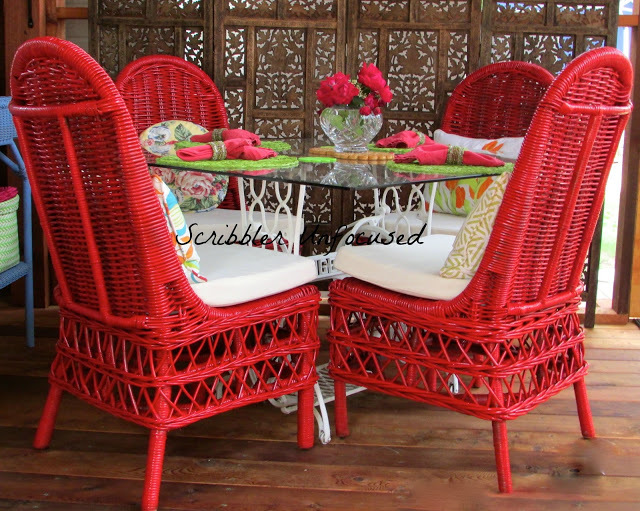 Love that red wicker set up….what a POP of bright color! Thank you for sharing and for hosting! Hi Sherry! the features are all amazing today! What talented bloggers. Thanks for hosting the party. Have a beautiful day! Thanks for the party. This is my first visit. I'm a new blogger and still learning. I love your features – the colors are great. Thanks for having us over, Sherry! !